MC-16 Indutherm Casting Machine Common Process for Melting Overview MC 16 Perfectly suited for small castings and small series Minimum material consumption – a thimble may be the right measure 3.5 KW induction heating for fast heating and high maximum temperature Even for the casting of steel and platinum Fast process time thanks to short heating period of the flasksThe MC 16 mini casting machine is very easy to useSuitable for all metalsThe 3.5 kW induction heating means that the material melts extremely rapidly in an atmosphere without oxidation. All metals – also platinum and steel – can be cast without difficulty. The crucibles are large enough to solve any standard casting task one would find in a studio or atelier with no difficulty at all. The flasks can also accommodate larger or heavier jewellery parts. It is equally possible to melt and cast minimal amounts of metal.The entire process is extremely fast, especially if the goldsmith uses so-called speed investment compounds. This enables rapid response to new models, fulfillment of express orders and the implementation of last-minute ideas, for example before a trade fair.Rapid and simple castingThe whole process of casting can be carried out simply, quickly and safely without any real prior technical knowledge of casting. 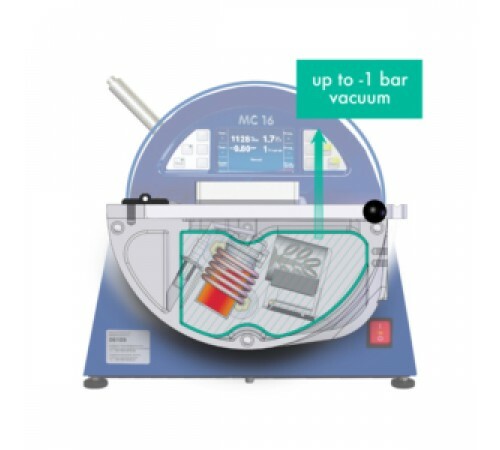 In the investment machine the gipsum gets mixed under vacuum – correctly dosed and air bubble free. The flask with the wax model gets filled under vacuum, too. Vibration during filling eliminates air inclusions. 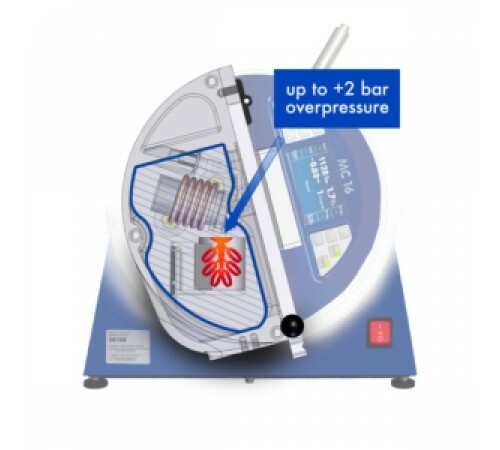 The wax is molten off in the furnace and the mould is burnt out.After pouring, the MC series automatically switch to overpressure in order to optimise the mould filling even fordelicate parts. Alternatively it is also possible to keep the vacuum. performance performance max. / electrical connection 500 3.5 kW maximum temperature 2000° C temperature measurement thermocouple Typ N up to 1.300° C temperature measurement thermocouple Typ S up to 1.600° C capacity crucible volume 100 g Au 18 ct 110 g steel/200 g Pt for use of flasks up to bis ø 30/50/65/80 mm x 80 mm H handling+control control panel LCD Display vacuum or overpressure after casting -1 up to +2 bar temperature measurement/control up to 1.300° C / up to 1.600° C vacuum pump (min. 8m3/h) .. 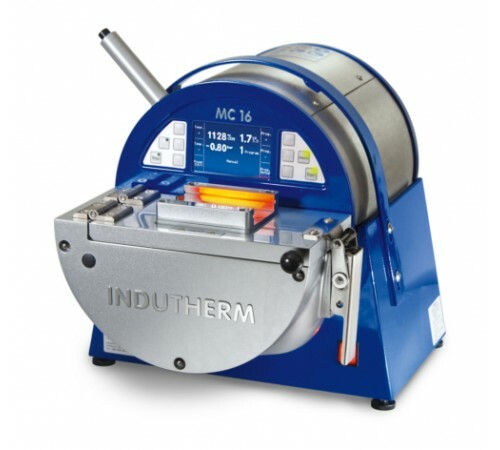 The 3.5 kW induction heating means that the material melts extremely rapidly in an atmosphere without oxidation. All metals – also platinum and steel – can be cast without difficulty. The crucibles are large enough to solve any standard casting task one would find in a studio or atelier with no difficulty at all. The flasks can also accommodate larger or heavier jewellery parts. It is equally possible to melt and cast minimal amounts of metal. The entire process is extremely fast, especially if the goldsmith uses so-called speed investment compounds. This enables rapid response to new models, fulfillment of express orders and the implementation of last-minute ideas, for example before a trade fair. delicate parts. Alternatively it is also possible to keep the vacuum.